Born in 1953 in Sheffield where he attended Rowlinson School and Stannington College, Watson was a founding member of the influential Sheffield based experimental music group Cabaret Voltaire during the 1970’s and early 1980’s. His sound recording career began in 1981 when he joined Tyne Tees Television. Since then he has developed a particular and passionate interest in recording the wildlife sounds of animals, habitats and atmospheres from around the world. 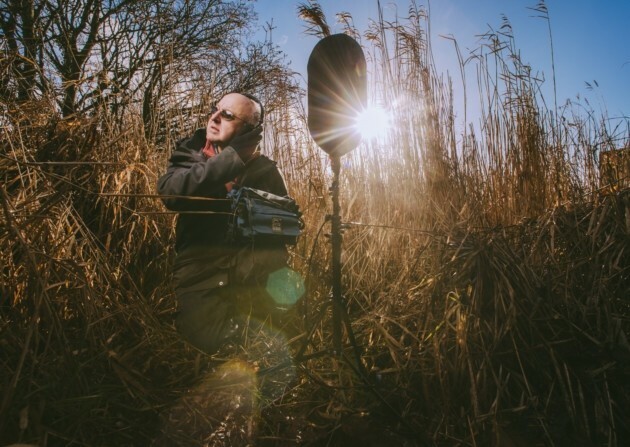 As a freelance composer and recordist for Film, TV & Radio, Watson specialises in natural history and documentary location sound together with sound design in post production. Watson has recorded and featured in many BBC Radio productions including; ‘The Ice Mountain, ‘The Reed Bed’, ‘Jules Verne's Volcano’, ‘The Ditch’, ‘The Listeners’ and ‘The Wire’ which won him the Broadcasting Press Guild’s Broadcaster of The Year Award (2012). His music is regularly featured on the BBC Radio 3 programme ‘Late Junction’.